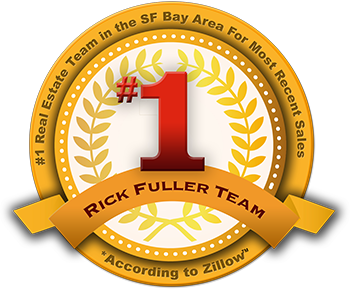 Effective marketing, strong business development and operational excellence are the three reasons LaTisha “Teesha” Webster, of the Rick Fuller Team, is quickly becoming the go to real estate property expert in the San Francisco East Bay Area. Nicknamed the “smile”, LaTisha’s passion for being a people-pleaser and her compassion for customer service are integral characteristics that make her the agent of choice for many home seekers and sellers. Prior to becoming a real estate professional, LaTisha earned a Bachelor’s degree in Political Science from the University of California at Los Angeles and a Master’s degree in Public Administration from California State University East Bay, and proceeded to manage healthcare clinics for the Stanford Health system. During the sale of her home in 2015, the 30-day escrow took almost 90 days to close. Puzzled by the inefficiencies in communication with the buyer’s team, LaTisha quickly realized the importance of ethics, integrity and fiduciary responsibility as the foundation of real estate. It was at that moment she knew she wanted to provide others with the home buying or selling process based on giving the best customer service levels time after time. LaTisha is a full-time agent for Rick Fuller, Inc. She is married to her husband Donn, and has 3 children; Justin, Layla and LaBella.